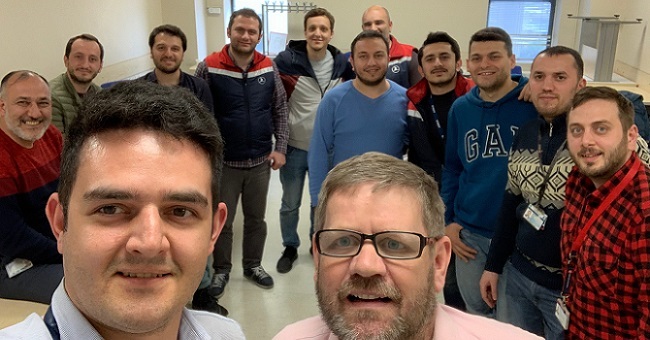 David Brooks – Instructor of Sofema Aviation Services, had the pleasure to deliver Logistics & Stores Inspection Procedures EASA training in Istanbul, Turkey. Twelve delegates from Turkish Technic attended the session. This training is designed to cover all elements which are essential to the effective management and operation of a fully compliant store. This in-depth 3-day training is designed to provide attendees with a detailed practical understanding of the requirements to Manage and Develop an Aviation Store. Turkish Technic was incorporated in 2006. It operates in three hangars for narrowbody and widebody aeroplanes and a VIP & light aeroplanes hangar in IST, in a total enclosed area of 130,000 m² with a workforce of 3,000 employees. Approximately 1,800 of these are technicians and almost 1,300 of these technicians are licensed (LAE – Licensed Aircraft Engineers). The newly built facilities in SAW encompass a hangar for 11 single-aisle aircraft and a separate hangar for three long-haul airframes. The complex is a total enclosed area of 380,000 m² with more than 3,100 employees. A separate narrowbody hangar exists in Esenboğa International Airport (ESB), Ankara. What did the delegates say about the training session?